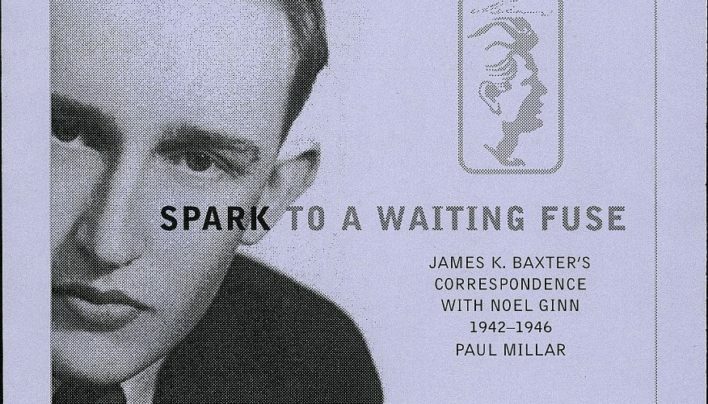 A pre-order form for Spark to a Waiting Fuse: James K Baxter’s Correspondence with Noel Ginn 1942-1946 edited by Paul Millar (Victoria University Press). 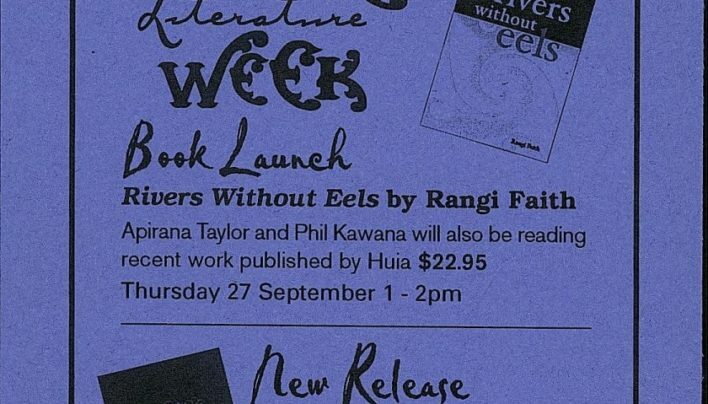 It was published in December. 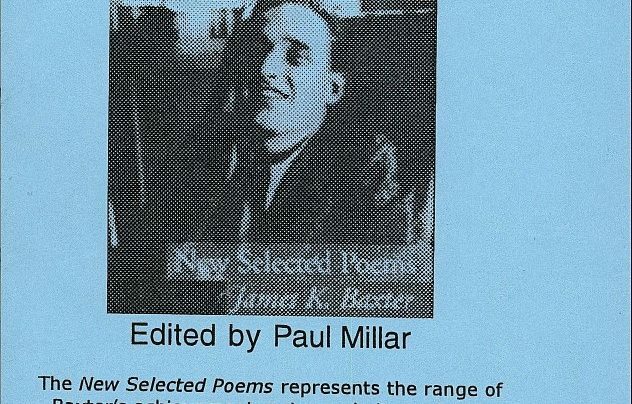 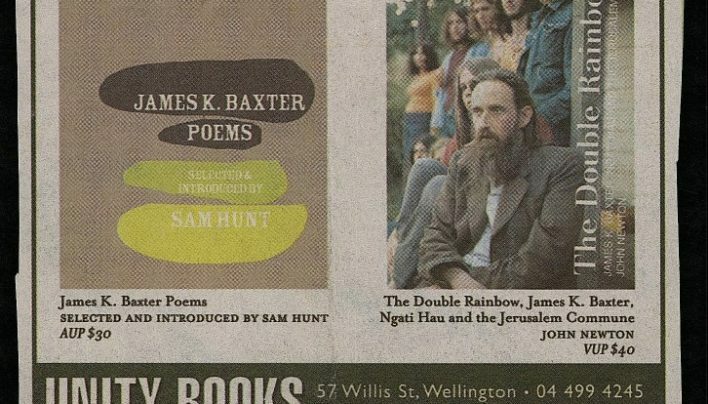 An invitation to the launch of James K Baxter’s New Selected Poems edited by Paul Millar (Oxford University Press). 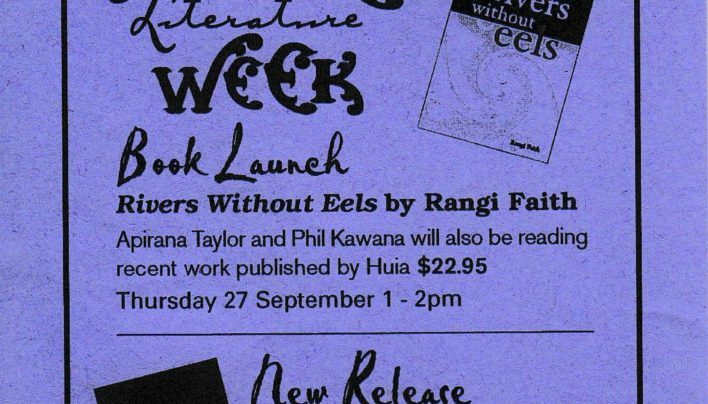 A flyer advertising our events for a particularly busy week in September. 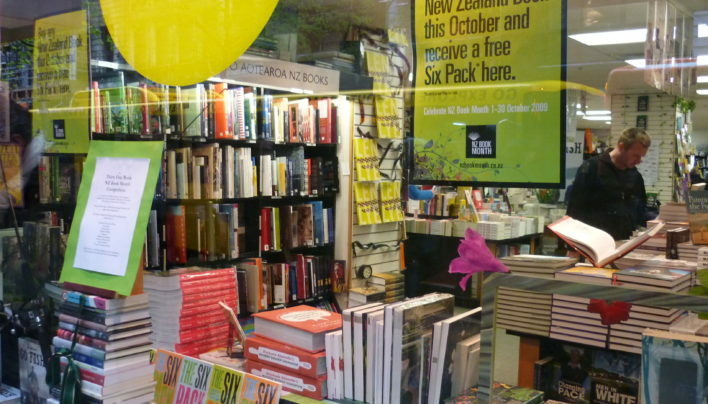 For New Zealand Book Month in 2009, Unity made a big window display and chalked quotations from various New Zealand writers on the footpaths surrounding the shop.